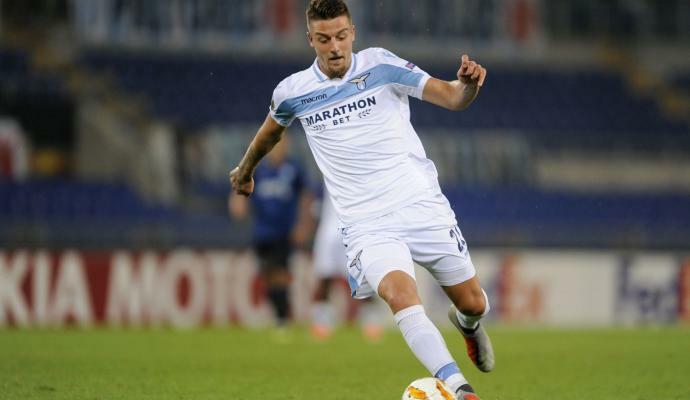 Sergej Milinkovic-Savic has been on many big clubs radars of late as the Lazio star has been turning heads. The young midfielder is viewed as one of the best players in the Serie A as he will be looking to keep improving.
" I am a Lazio player but I am clearly happy that a coach of his caliber came to see the game. Who know, maybe he didn't come to see me play. There were a lot of quality players on the pitch so maybe he had his eyes on someone else. I did read that Mourinho was there for me but that doesn't mean anything. There are so many false rumors out there you can't give them too much importance. Lazio? We are doing pretty well and we want to continue like this...".